The research described in this paper is undertaken under the banner of the smart city, a concept that captures the way urban spaces are re-made by the incursion of new technology. Much of smart is centred on converting everyday activities into data, and using this data to generate knowledge mediated by technology. Ordinary citizens, those that may have their lives impacted by the technology, usually are not properly involved in the ‘smartification’ process. Their perceptions, concerns and expectations should inform the conception and development of smart technologies at the same extent. How to engage general public with smart cities research is the central challenge for the Making Metrics Meaningful (MMM) project. 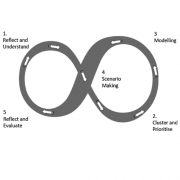 Applying a rapid participatory method, ‘Imagine’ over a five-month period (March – July) the research sought to gain insights from the general public into novel forms of information system innovation. This brief paper describes the nature of the accelerated research undertaken and explores some of the themes which emerged in the analysis. Generic themes, beyond the remit of an explicit transport focus, are developed and pointers towards further research directions are discussed. 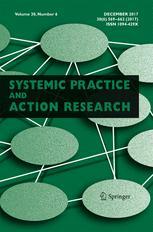 Participatory methods, including engaging with self- selected transport users actively through both picture creation and programmatically specific musical ‘signatures’ as well as group discussion, were found to be effective in eliciting users’ own concerns, needs and ideas for novel information systems.